To me, Kate Spade represents bold, bright, fun and . . . well . . . expensive. 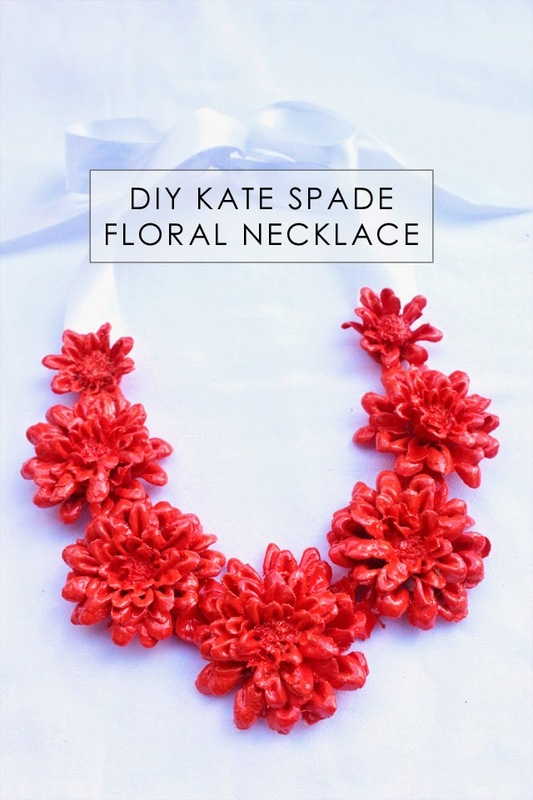 You can do bold, bright, fun and free with this easy project I made for Dollar Store Crafts that was inspired by a Kate Spade necklace. 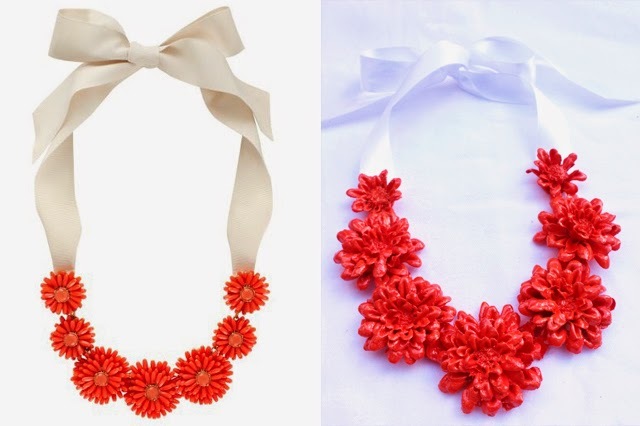 Below is my inspiration necklace, the Kate Spade gerbera garden necklace, which sold for $295 and is no longer available. 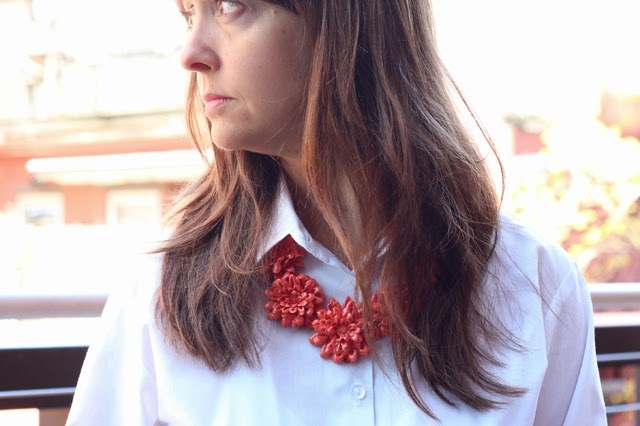 I liked the color, shape and use of a ribbon, which I incorporated into my DIY necklace. 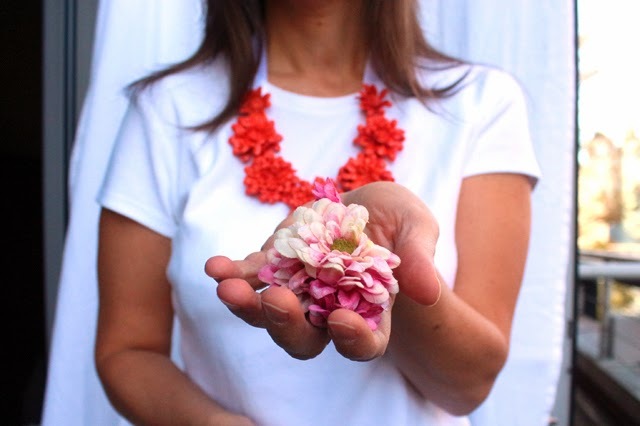 This necklace is made from .... dah dah dum .... silk flowers. You probably already have some. If not, you can get them super cheap at a dollar store or thrift store. Go from this. To this. 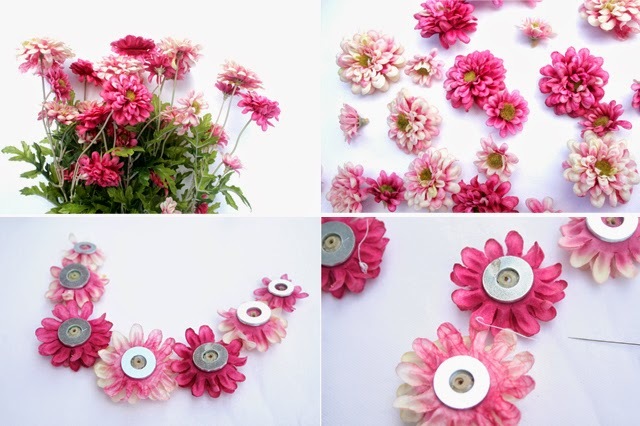 All you need is flowers, thread and needle, Mod Podge, fingernail polish and a ribbon. I popped off the flowers from a bunch of silk mums. I joined them together with needle and thread, soaked them in Mod Podge, let them dry then glued some washers on the backs to give the necklace some weight. Then i painted it with a coat of white, then a couple coats of the color I wanted - tangerine. I sprayed the flowers with a gloss sealer to give it a lacquer look. Then I cut and glued a wide ribbon. 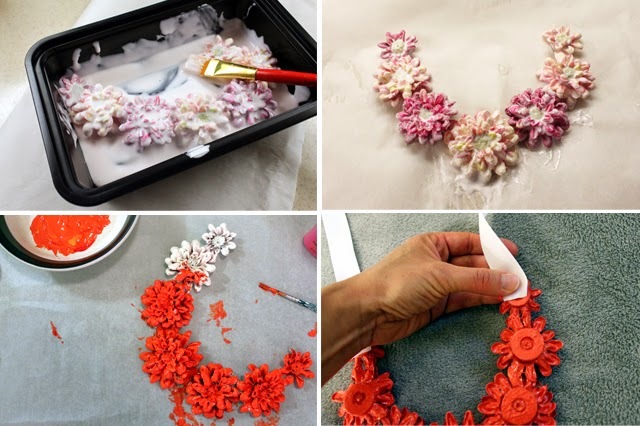 You can change the flowers, shapes and colors and make a bunch of spring necklaces. See Dollar Store Crafts for more details. Wow! I would have never guessed it came from silk flowers. How cool looking! I echo exactly what Rebecca said--I never would have thought you made this from silk flowers. A very high-end look for very little. Sam this is seriously cool! I want one! 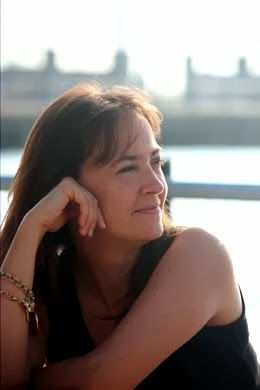 That necklace is fantastic! Cannot believe they are silk flowers. So great! I honestly thought the Kate version was the reddish one. It is just beautiful. I did not like the original version. Kuddos to your imagination!! 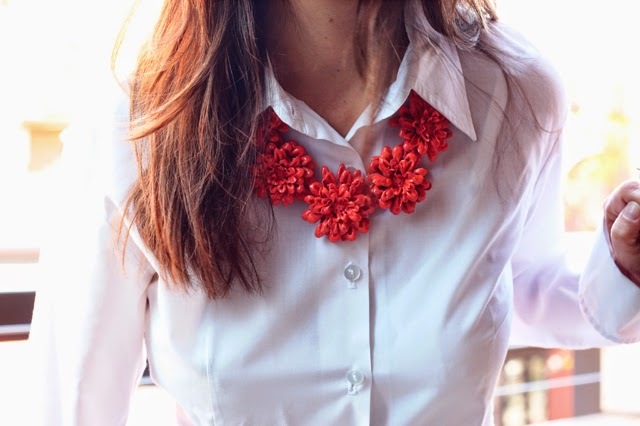 The necklace is such a great project and it looks wonderful! I am in love with this necklace. I included it in a round up of other Kate Spade inspired projects. Thanks for sharing your creativity.